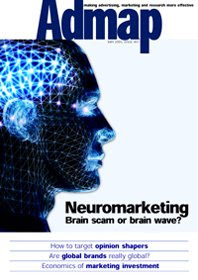 There is a "new" buzzword in marketing and advertising: brain science. Market research has caught the buzz too, with quite a number of good papers and articles published over the last few years. But for many of us, the buzz is a bit of a mystery, and for some an irritant. The problem is, that whilst we've heard a lot about the theory, not too much has been written about the practical consequences. My view is simple: that the issues raised by brain science are simply too big to ignore, and we need to do something about it. Hence I am writing this, to build a bridge between theory and practice. The first part deals with the theory, but the (longer) second part looks at the practical consequences for our industry. Market research grew up under the influence of mid 20th century cognitive science, and many (particularly quantitative) researchers, feel more at home with the cognitive aspects of behaviour than with the unconscious and emotional. But life (and the human sciences) moves on, and in the last two decades, brain science has challenged our view of the human mind and how works. By reuniting psychology with philosophy and biology, its shifts the scientific focus back onto the mysteries of consciousness and emotion. Increasingly, we've come to understand that unlocking the mystery of consciousness actually depends on figuring out the unconscious functions of the brain. Not Freud's unconscious - a repository for repressed memories – but rather the many things the brain does that are not available to consciousness. Unconscious processes include most of what the brain does - we can often be aware of what we're doing when these things happen, but much of the time consciousness is informed after the fact through the cognitive unconscious. The area that's generating hottest debate is emotion, and its operation through the so-called emotional unconscious, and it's here that the fusion of biology and psychology is changing the whole way we understand human behaviour. It is my belief that, as market researchers, we cannot do our job properly unless we understand the unconscious mind, both in its emotional and cognitive aspects. The possibility that so much of what we know about brands is absorbed unconsciously, and that choice between brands is driven by unconscious emotional processes, requires us to challenge our techniques (built mainly on rational choice models and verbal response) and acquire a new skill set to interpret and understand what consumers tell us. Brain science is interesting, fascinating even, but what are we to do about it?